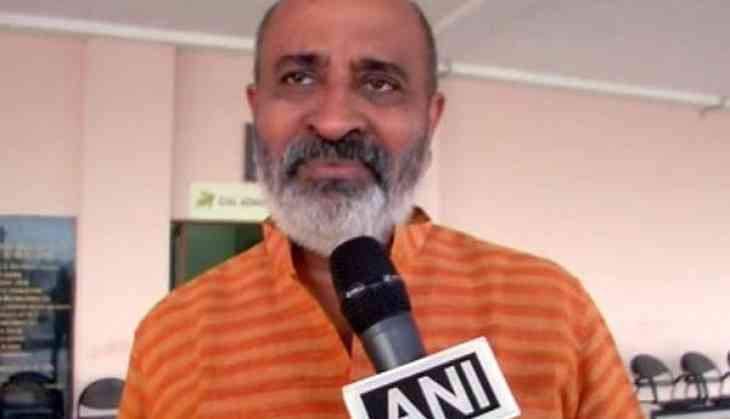 Kerala minister and JD-S leader Mathew T. Thomas on Friday alleged that the Ministry of Civil Aviation did not give them permission for a charter plane to shift Congress and Janata Dal (Secular) (JD-S) MLAs from Karnataka to Kochi. Fearing defection to Bharatiya Janata Party (BJP), Congress and JD-S yesterday shifted their MLAs, lodged at Eagleton Resort in Bengaluru. Thomas while speaking to ANI said he was expecting the MLAs to reach Kochi on May 17, but the Ministry of Civil Aviation did not give them permission for a charter plane. "I am definite Karnataka JD(S) MLAs are not coming by flight so I am moving to Kurnool. Not sure about destination if they come here, they are welcome. I was expecting them yesterday but Civil Aviation Department did not give permission to a charter flight," Thomas said. Kerala Tourism minister Kadakampally Surendran earlier invited Congress and JD(S) MLAs from Karnataka to their state to avoid horse-trading and poaching bid by BJP. Neighbouring Telangana and Andhra Pradesh have also been mentioned as possible destinations. As the newly elected Chief Minister of Karnataka B. S. Yeddyurappa has 15-day to prove his majority on the floor of the assembly, the Congress and JD-S has been alleging that the BJP is trying to "poach" their MLAs .